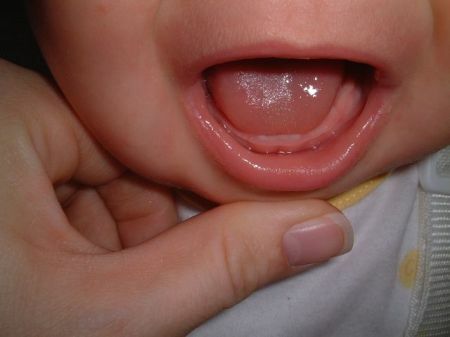 So here’s Mara’s first two teeth. No more purely gummy smiles. Still what can be cuter than two little bottom teeth that you see now when she smiles? Amazingly she hasn’t really been that cranky while cutting them either. She has her moments but it’s not constant. Currently she adores chewing on the toothbrush that came in her infant care kit. She’s quite adept at holding it herself. It looks kind of funny like she’s really brushing her teeth!